State Representative Dan Brady has won unanimous House approval of legislation aimed at easing our state’s nursing shortage. House Bill 3490, now awaiting consideration in the Senate, would expand school options for scholarship recipients pursuing graduate degrees in nursing in Illinois. “Our Nursing Education Scholarship Program was established to remove financial barriers to help increase the number of students training to be nurses in Illinois. The problem is that current law only provides scholarship students with 6 eligible nursing schools to choose from. That’s a problem we’re fixing with this legislation,” said Representative Brady (R-Normal). The Nursing Education Scholarship Program provides financial assistance to qualified individuals pursuing an associate degree in nursing, a hospital-based diploma in nursing, a baccalaureate degree in nursing, a graduate degree in nursing or a certificate in practical nursing. However, current law limits the available nursing schools for scholarship recipients to only six qualifying institutions. 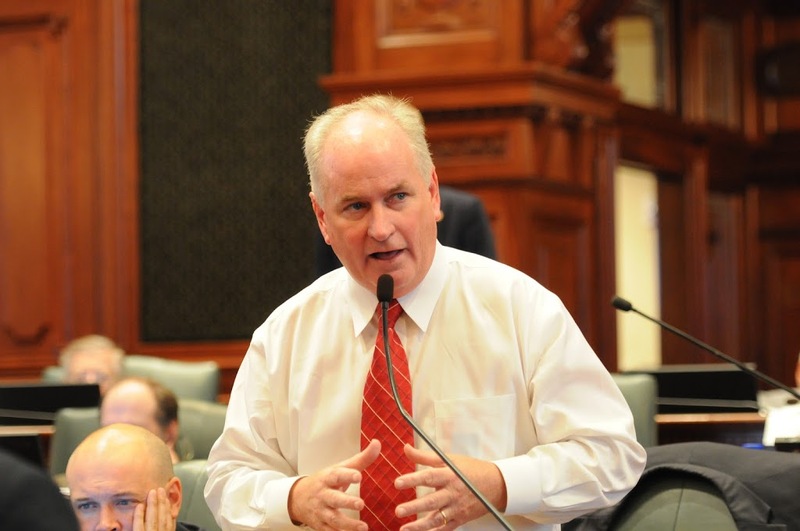 House Bill 3490 corrects an inconsistency in current law and formally opens up the scholarship to all Illinois schools offering Master of Science degrees. New institutions on the “approved” list would include: Aurora University, Benedictine University, Bradley University, Chamberlain College of Nursing, Chicago State University, Governor’s State University, Illinois State University, Lewis University, Loyola University, McKendree University, Methodist College, North Park University, Northern Illinois University, Olivet Nazarene University, Resurrection University, Rosalind Franklin University of Medicine & Science, Southern Illinois University, St. Anthony College of Nursing, St. Francis Medical Center College of Nursing, St. Xavier University, Trinity College of Nursing & Health Sciences and University of St. Francis. “To combat our nursing shortage we need to find new ways to help, not hinder those who want to make nursing their life’s work. Providing scholarship nursing students a much wider range of qualified school options all across the state is a big step in the right direction,” Rep. Brady said.